If marriages are made in heaven, there is no reason to think that honeymoons are not. And Everest region is one of the places that is considered to be a place that is a heaven in earth by people who have visited this region. Everest region is a place that is full of breathtaking mountains, listed in the UNESCO natural heritage sites and located at a breathtaking altitude of 5000 meters. With so much excitement in this region, it sure is going to make your honeymoon that much more beautiful and that much more thrilling. Honeymoons are trips that are supposed to be relaxing, free and unforgettable. And that is just what the Everest Base Camp honeymoon trip is going to provide you. It will give you lots of time to relax in the helicopter ride, give you a sense of freedom in the serene mountains and will be unforgettable with a trip to the Everest Base Camp. Nature mesmerizes us with the richness of color, depth, and majesty it has on display. The scenic flight to Hotel Everest View on your honeymoon is no different. After taking off from Kathmandu, the helicopter will take you through the glorious mountains in the Himalayan region and is a sight to behold. The flight time is going to be around 90 minutes which means that you are not going to feel tired after a trip in the helicopter. Another major concern of all the people who go on a honeymoon is their privacy. You don’t have to worry about that while going for the Everest Base Camp honeymoon tour. The helicopter is fully reserved for the couple celebrating their honeymoon. This ensures that you will get to spend quality time with each other without being bothered by others. Even when you reach Everest Base Camp, you will feel the luxury of spending time with your loved one without being bothered by others. So there will be the glorious mountains, the two of you and nothing in between. Every year thousands of people come to Nepal for the sole purpose of going to the Everest region. 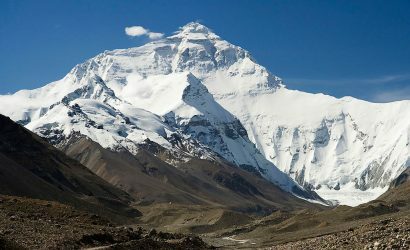 The place that most of them visit is the Everest Base Camp. This place tops the chart in terms of the place that is the most popular amongst domestic and international tourists. But getting there is an often arduous. 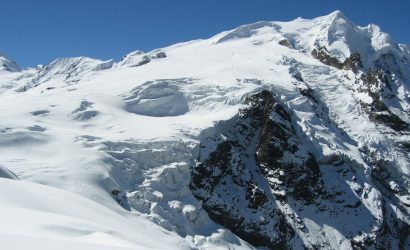 Trekkers take a minimum of 10 days to one month to get to EBC. But the Honeymoon tour will take you to this dreamland in a day and help you save time and energy you would have to dedicate while trekking to the Everest Base Camp. Time is another major factor that comes into play when it comes to a honeymoon. During your honeymoon, you will want to see as many places as you can and make memories that last for a long period of time. This is exactly what the Everest Base Camp helicopter tour will allow you to have. The Everest Base Camp honeymoon tour lasts for merely two days. This gives the couple a lot of time to explore other parts of Nepal as well. Nepal has many other wonderful places that you must go to. So this honeymoon tour will give you all the time to explore the wonderful places in Nepal to make your experience all the more worthwhile. In the lap of the Himalayan region of the Everest, the pictures that you can take will be astounding, to say the least. The timeless mountains that go along with the timeless love of your life are sure to last a very long time. One of the biggest fears that the visitors to the Everest region have is that of altitude sickness. They are constantly worried if something will go wrong and they might not be at the peak of their health during the trip. You can put this fear to rest in the honeymoon tour. If your body fails to adapt to the altitude, you will be immediately transported to a nearby hospital that offers the best facilities to take care of the illness that has struck you. So you can have a trip where you can worry less about your health. If the flight cannot take off due to inclement weather conditions, the trip will be scheduled for a different date. And if you won’t be able to take your trip on a different date, you will be fully refunded. However, if due to your personal reasons you have to cancel your trip, you have to bear a certain charge. If you cancel your trip one week before the scheduled date, 10% of the cost will be charged. If you cancel your trip later than that, 50% of the tour cost will be charged. In your honeymoon tour, you will first take a helicopter ride to Hotel Everest View in Syangboche. 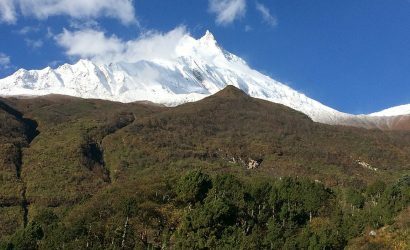 After landing there, you will head out for a sightseeing tour in a beautiful village in the Everest region called Khumjung. Khumjung monastery, which is believed to contain a skull of Yeti, is a place that you will visit. Besides, you will also explore the culture and people in this region. After sightseeing, you will spend your night at the Everest View Hotel. It is one of the most luxurious hotels in the Himalayan region and has won numerous accolades for its location as well as the wonderful services it provides. It is also featured in the Guiness Book of World Records as the hotel located at the highest altitude. Next day, you will have a breakfast (6 am- 7 am) in the beautiful surroundings of the Everest View Hotel. The views of the mountains from this hotel while you have breakfast is one of the most staggering you can imagine. The breakfast served here is Continental or American depending upon your preference. After your breakfast, a helicopter will take you to the Everest Base Camp. 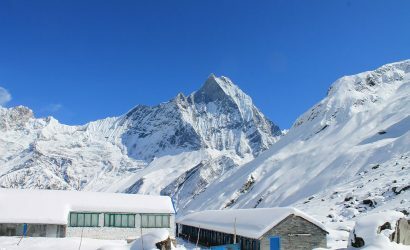 The Everest Base Camp is one of the most popular places for trekkers. Getting there takes a lot of physical effort as well as a lot of preparation in the part of the travelers. But, in the helicopter tour, you don’t have to go through these hassles. 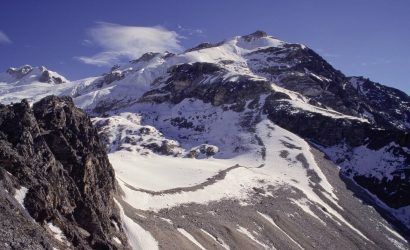 You will get to enjoy the mountains in this region not only from your hotel but from the Base Camp as well. 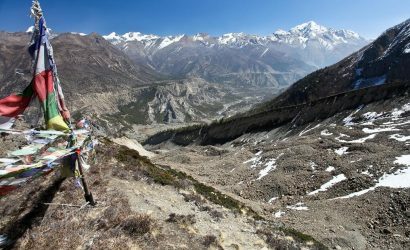 After this tour to the Everest Base Camp in the helicopter, you will head out to Kathmandu directly from the Base Camp. There are many wonderful things at offer in the honeymoon tour to Everest Base Camp. It not only enriches the experience of the couples who are looking to have a great honeymoon, it offers all the peace in the world as well as the privacy you can imagine. Besides, the pictures you can take here are simply breathtaking. The honeymoon tour to the Everest Base Camp is a trip of a lifetime and simply unmissable for all couples and newly wedded people.